BATTLE CREEK, Mich., Oct. 18, 2018 /PRNewswire/ -- Kellogg Company firmly believes in equity and inclusion in the workplace, marketplace and in the communities where we work and live. 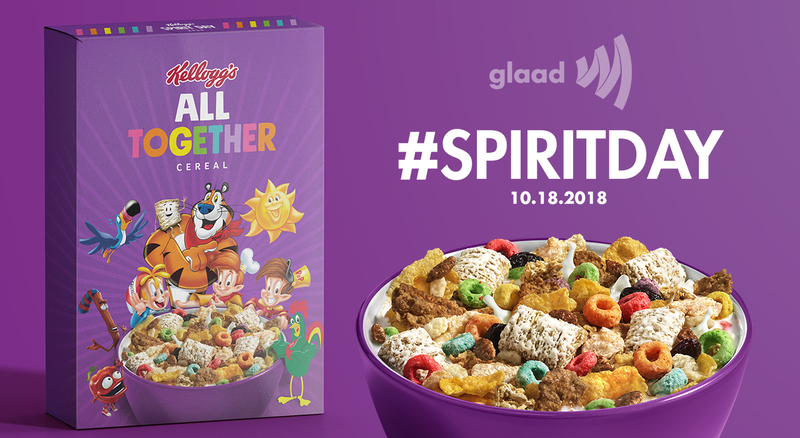 Continuing its commitment to inclusion, Kellogg is again partnering with GLAAD as an official sponsor of Spirit Day, the largest, most visible anti-bullying campaign in the world. 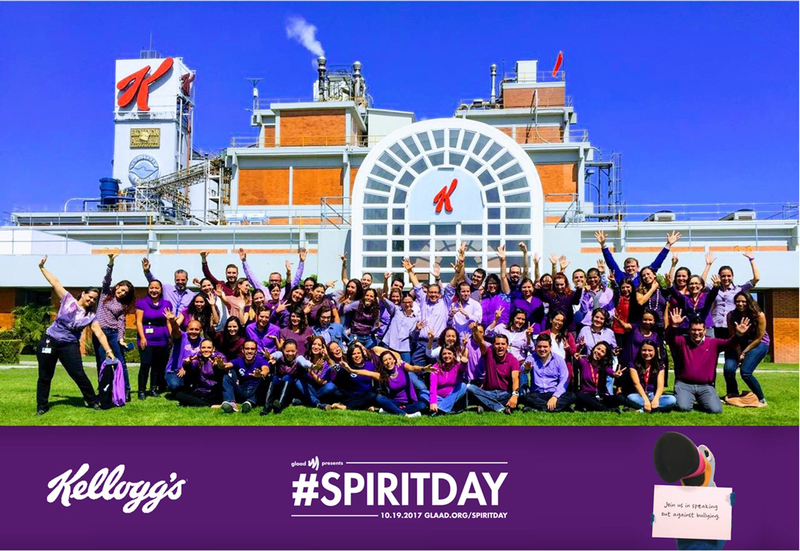 Kellogg, its brands, and employees, are 'going purple', the color of spirit on the rainbow flag, to stand up to bullying and show support for LGBTQ youth. New this year – in celebration of Spirit Day and for one day only, Oct. 18 – limited edition "All Together" Spirit Day cereal boxes, will be available exclusively at Kellogg's New York City Cafe to mix favorite Kellogg's cereals together in celebration of belonging no matter how you look, where you're from, or who you love. 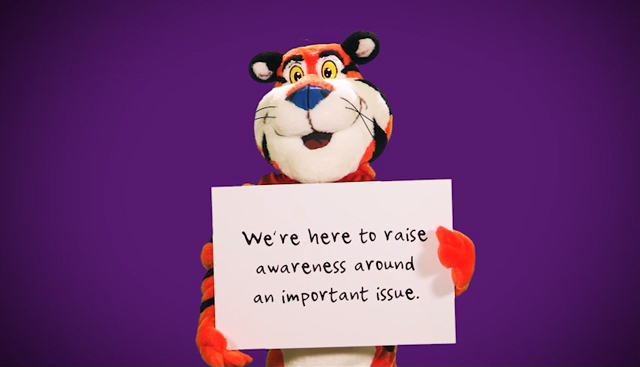 All proceeds from Kellogg's "All Together Cereal" will be donated to GLAAD. 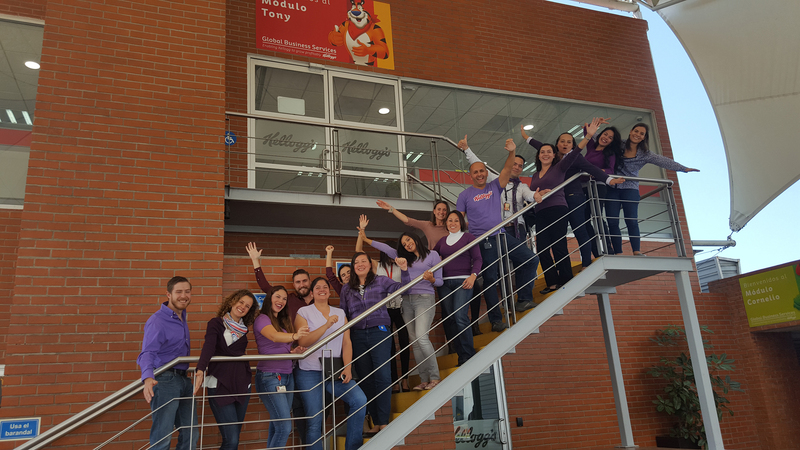 Celebrating Spirit Day globally, Kellogg employees around the world will participate in conversations that enable the company to build a culture where all employees are inspired to share their passion, talents and ideas. At Kellogg Company World Headquarters, employees will invite the community to help celebrate Spirit Day with an anti-bullying art exhibit – created by local students – during a local art hop event. "At Kellogg, we are committed to a diverse and inclusive environment. We have long been allies and supporters of LGBTQ employees, their families and the community," said Mark King, Global Head, Diversity and Inclusion. "For more than 100 years, Kellogg has nourished families so they can flourish and thrive and the company continues to welcome everyone to the table."